Antique Hamilton music stand from a garage sale last month. $1.00 bargain. 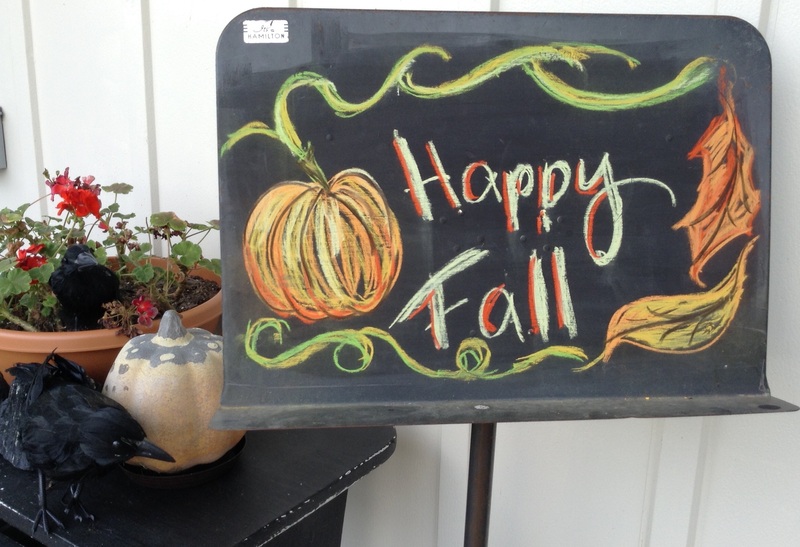 Painted with homemade chalkboard paint to change messages with the seasons. Sad little geraniums will be replaced with mums and flowering kale when the garden center gets stock. I love finding alternate uses for other people’s junk.